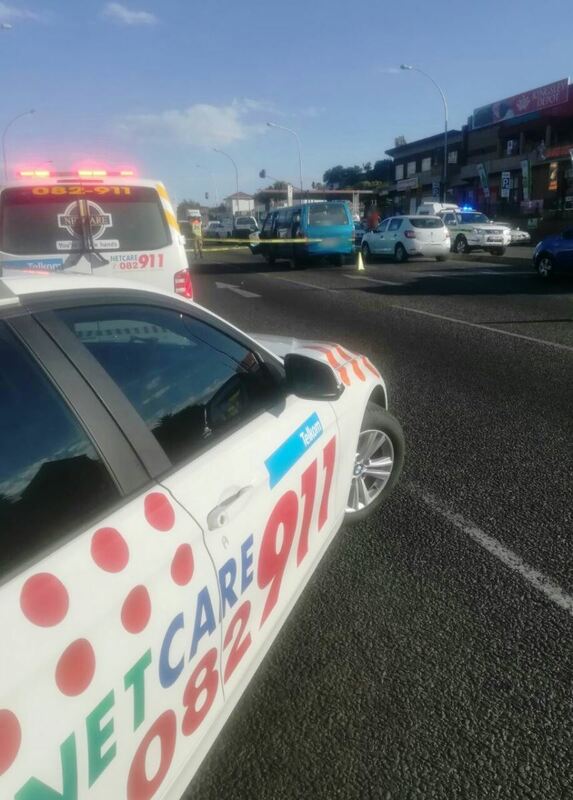 At approximately 16h30 on Tuesday 15 November 2017, Netcare 911 responded to reports of a shooting on Hendrik Potgieter Road at the intersection of Gordon Road in the Roodepoort area. Reports from the scene allege that the driver of a minibus taxi had been shot a few times. He was in a critical condition and was attended to by a Netcare 911 paramedic. An Advanced Life Support resuscitation was initiated and he was placed on a ventilator, however the teams effort to resuscitate the victim were unsuccessful. Documentation pertaining to his death was completed by Netcare 911 and handed over to authorities at the scene. A female, believed to be a commuter in the minibus taxi, claimed to have been grazed by a bullet. She was attended to by paramedics and she refused further medical treatment. The SAPS are on the scene and are investigating the incident. Several lanes were closed resulting is severe delays during peak afternoon traffic.